These days it´s normal that one of the first things we do when we wake up is check the wind and wave forecast on our phone. Something that doesn’t take more than 2 minutes and can be decisive when deciding which spot to go to or which board to use. 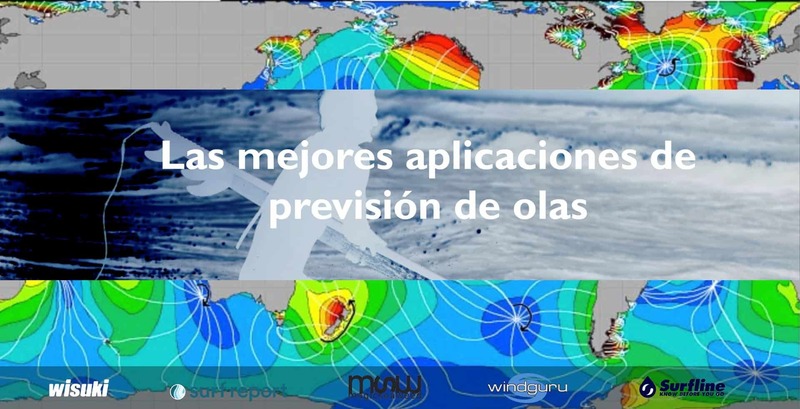 So now we´re going to tell you 5 apps for wave forecast that are most useful to us. Some will even help you find new spots. Considered by many the best wave forecast app. Not only does it give direction and wind velocity information, it also completes the data with swell direction, wave size, water temperature and a lot more. It offers very detailed forecasts about the sea bottom, tides and currents. The best thing is it offers information about any spot in the world. In the end the wind is the most important factor when choosing a spot. This app is very easy to use; you only need to write in google winguru [city] if you just want to see a quick forecast exactly like in the app. It works for all types of locations and you can ask for a certain spot. Mundaka, Sopelana, Berria, El Sardinero… This app works well in Spain and the rest of the world. It´s very easy to check one of these apps before you go to your spot. The data that you get will help you decide what you need to take before you go surfing and you will know what to expect at the beach. You can decide what board to take depending on whether windguru says 0.5 or 2.5. Surely in the second case you´ll want a high performance board like a Clayton Mundaka. 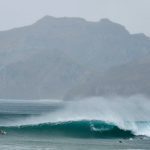 This app offers surf prognostics for thousands of beaches in the world and are classified by MSW stars depending on the size of the waves, the wind direction and more. To its subscribers it offers a 7 day and 14 day prediction (MSW Pro), wind direction and buoys. One of the firs apps to appear in the market. It offers waves forecasts and surf reports for more than 7000 beaches in the surf world. 48 hour wave and wind maps for 7 days, and a free wave and wind alert system easy to configure for the user. You can choose various spots and adjust the user preferences and data (wave height, period, wind direction, etc…) You can also choose how to receive the alert. There is a spot quality score, consistency, difficulty and quantity of people in the water based on a 1 to 10 rating, basing it on the wave size and characteristics. This way, if we find the number 10 n a gold star, it means the spot has the best conditions possible: Big waves and offshore wind. This app tells us about the meteorology, waves, wind and tide. Also it offers HD streaming for more than 140 spots all over the world, although only premium clients will be able to sue this feature. 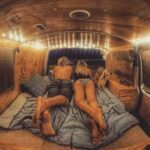 The rest of users can see the images with less quality. Once you know which are the best apps for wave forecast, the next step is to interpret the data and choose the correct material. In that last step we can use our surfer experience to help you out. If you have any doubts about what you need, write us an email, or visit our web where we will gladly attend your needs. You may find other posts of interest and we invite you to read the 5 most common errors when interpreting forecasts. If you liked this post, don´t stop visiting our tag #surfbase where we will show you different articles, so that you can familiarize yourself with basic surf vocabulary. You can also subscribe to our newsletter and follow us on Youtube.